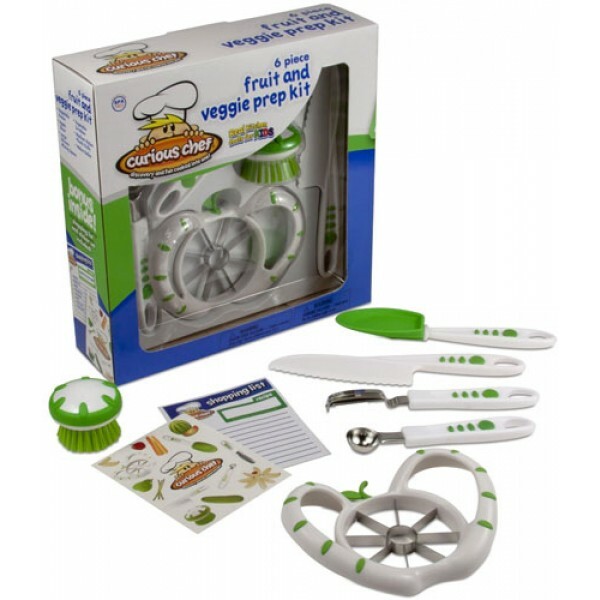 Let your little chef play -- or cook! 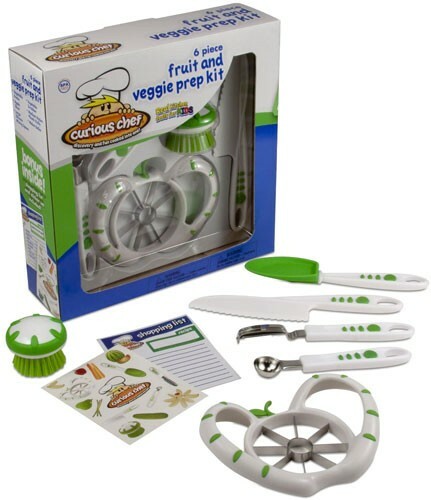 -- with this great fruit and veggie prep kit. 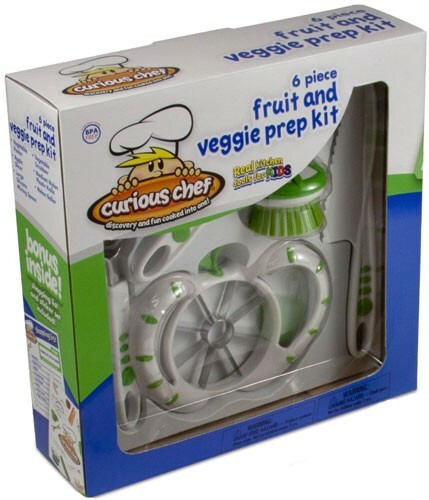 The Curious Chef Kids 6-Piece Fruit and Veggie Prep Kit includes vegetable scrubber, melon baller, medium nylon knife, apple slicer, large silicone spoon and vegetable peeler. A bonus sticker set, shopping menu, and one recipe are also included. All Curious Chef utensils are fully functional cooking tools that provide an opportunity for kids to learn by doing; they're also dishwasher safe, making clean-up a breeze. Learning to cook gives kids the ability to eat healthier for their whole lives.